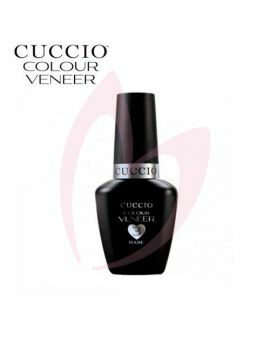 nate and colour-match with Cuccio Colour Professional Nail Lacquer line. 13 ml (0.43 fl. oz.) Essential base coat to be applied before colour - cure under 36 watt lamp for 2 minutes or LED lamp for 30 seconds. Cuccio Veneer Base Coat 13ml.